Wonderful, terrific book, a one-volume introduction to architecture. The illustrations are splendid. The section on 20th and 21st century architecture is very strong with the Chrysler building, The Bauhaus, Ronchamp, Guggenheim, Sydney Opera House, Hundertwasser's Hill Houses, Guggenheim Bilbao, and the Kunsthaus Graz in Austria. The details are engrossing. Middle school nonfiction, suitable for older children and adults as well. 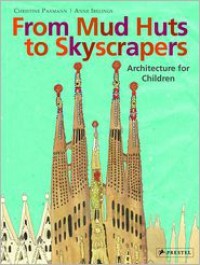 A real treasure,books on architecture for youth are difficult to find.